A series of unfavorable rulings has led to the dismissal or withdrawal of hundreds of lawsuits claiming Pfizer’s antidepressant Zoloft caused birth defects. A class action claiming consumers were misled into buying Zoloft was also dismissed. Pfizer has won repeated court victories against people who sued over injuries they said were caused by top-selling antidepressant Zoloft. Judges have ruled that complaints failed to prove that Zoloft caused birth defects. Courts have also held that the drug maker didn’t withhold important information from the Food and Drug Administration about potential side effects of Zoloft and that legal barriers prevented lawsuits from moving forward. 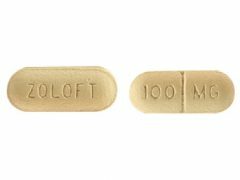 While some cases may still exist, and lawyers may be accepting Zoloft claims, all publicized decisions have sided with Zoloft’s manufacturer. Since Zoloft was approved in 1991, hundreds of people have sued Pfizer claiming the drug was dangerous to unborn children or that it didn’t work as claimed to treat depression. Across the board, Pfizer has won court battles, persuading judges and juries to side with the drug maker against injured parties. At one point, there were more than 700 federal lawsuits consolidated in the federal courts. Over the course of five years, they were all dismissed or withdrawn. More than 20 years after Zoloft (seratraline chloride) to the market, the Judicial Panel on Multidistrict Litigation consolidated more than 40 lawsuits alleging birth defects. The multidistrict litigation (MDL) was assigned to a judge in the U.S. District Court for the Eastern District of Pennsylvania. A federal appeals court upheld Rufe’s ruling, effectively ending federal court litigation over the issue. All the federal MDL cases had been dismissed or withdrawn. A St. Louis jury sided with Pfizer in April 2015 in the case of a California boy who suffered birth defects after his mother took Zoloft while pregnant. The trial was the first in the country where the issue was litigated. According to the St. Louis Post-Dispatch, jurors concluded that warnings on the drug were sufficient. A jury in New York ruled that Pfizer was not responsible for the birth defects of a young girl whose mother took Zoloft while pregnant. A West Virginia state judge ruled that state law barred a lawsuit alleging Zoloft caused birth defects to a child born to a mother who took the drug while pregnant. In addition, a class-action lawsuit filed in federal court in California on January 30, 2013 claimed that Pfizer wrongly marketed Zoloft as effective and safe at treating depression. Lawyers tried to have that suit designated to represent millions of consumers nationwide who had purchased Zoloft since it was approved in 1991. The complaint asserted that the majority of clinical trial data didn’t prove Zoloft worked. That lawsuit was dismissed in September 2014. Although some attorneys may accept Zoloft cases alleging birth defects, and some lawsuits may still be pending in state courts, the litigation appears to have virtually run its course. Lawsuits against Pfizer asserted that Zoloft caused injuries in children whose mother took the drug while pregnant. Judges and juries, however, sided with Pfizer. Lawsuits accused the Zoloft maker of marketing an unsafe, ineffective drug and hiding information from the FDA. Pfizer World Headquarters in New York. An unsuccessful class-action complained Pfizer’s drug Zoloft didn’t work as claimed to treat depression. 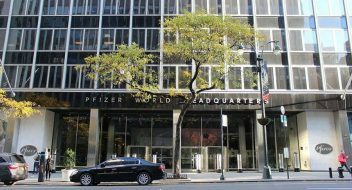 An unsuccessful class-action complaint claimed Pfizer launched a massive marketing campaign designed to convince patients and doctors that Zoloft is effective and safe in treating depression, when the majority of clinical trial data did not prove it worked. That California federal lawsuit was dismissed. Other lawsuits, including hundreds filed in federal court, asserted that Zoloft was aggressively marketed to pregnant women, even though studies showed the drug increased the risk that babies would develop autism and birth defects. These lawsuits also did not succeed.